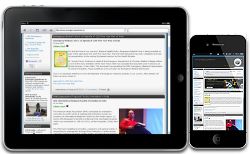 Our webserver analysis is indicating that many of our readers are using their iPads & iPhones to view this site. So we did some tweaking to improve site visibility on these mobile devices. We experienced technical problems yesterday with our Asia Pacific server. Visitors were cut off from our site for the last 24 hours. Redirection to our alternate server in US, also had failed. However the issue has been hopefully resolved today and we are back online. Always aiming for that 24x7x365 visibility.